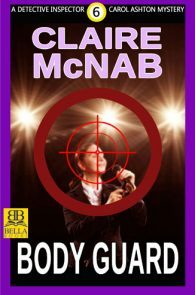 Detective Inspector Carol Ashton’s promotion to Chief Inspector has immediately ensnared her in two assignments that hold no warning they will forever change her life. She’s inherited the pressurized case of the high-profile death of media star and wealthy philanthropist Greta Denby, who had been undergoing a controversial experimental treatment for her cancer. Carol is now also taking on the case of the investigating officer Inspector Ian Rooke, who has himself just died under baffling circumstances—a demise made more mysterious by the inexplicable shoddiness of his investigation into Greta’s death. In this final chapter, Carol must confront an increasingly dire future and the most formidable challenge of all—her fundamental belief in her career, and in herself. 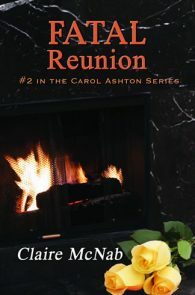 Seventeenth in the Carol Ashton Series. 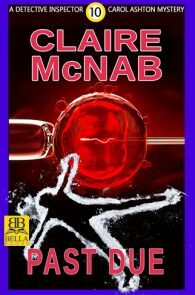 Lethal Care — Winner, Mystery / Thriller. I must applaud Claire McNab and Katherine V. Forrest for joining forces to create this fast paced and riveting literary masterpiece. The beautiful descriptions of the Australian landscape made me yearn to see all of these places as soon as possible. I am also very pleased to say that I enjoyed reading about the complex and vibrant characters in this story because I was able to form a detailed picture of each character in my mind and that’s always a huge plus for me. There are so many things that I could say about this story but I don’t want to give away any spoilers so I will tell you this—there is absolutely no way you would be able to read this story without going through the gamut of emotions. Danger and suspicion surround Carol in all areas of her life and she still holds on to her sanity despite everything that threatens to break her. Once you begin to read this awesome story, you would not want to stop reading until you get to the last page because you’ll be taken on a very captivating and intriguing journey with Chief Inspector Carol Ashton. The story is riveting throughout. The plot and subplots are filled with delightful misdirection. While those pesky red fish keep circling, we’re presented with a long list of suspects couched in multiple, overlapping concerns. Although this is the final book in the series, the story stands alone, with just enough detail into the past to keep a new reader engaged. 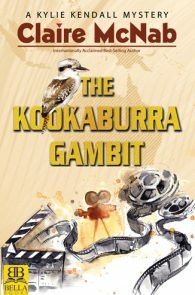 From beginning to end, the story moves rapidly, introducing us to a host of suspects and interesting characters, taking us on a bumpy ride and bringing this tale, and the series, to a satisfying conclusion. As usual the crime drama is excellent, well thought through and plotted, complex enough to keep the attention and like a good Agatha Christie, literally anyone could have done it, although we didn’t meet a butler. 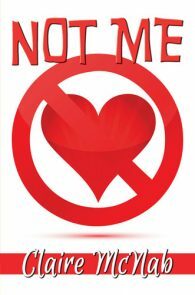 You ask: why is the name Katherine V. Forrest on this book? 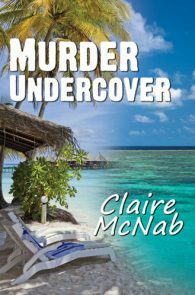 When Claire McNab, all by herself, is the internationally published author of the Carol Ashton and Kylie Kendall mystery series, the Denise Cleever espionage series, numerous romantic novels, an assortment of plays and short stories—forty or so books all told. 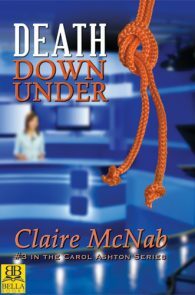 When, under the name Claire Carmichael, she has written even more books: she is one of Australia’s well known children’s writers. Many of you won’t know that in her spare time she taught an advanced fiction class for two decades at UCLA Extension, an instructor so celebrated that she was named Teacher of the Year and given the Distinguished Instructor Award by that huge institution. 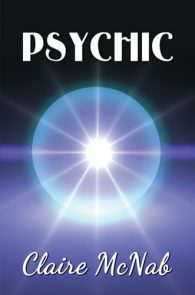 So why am I a co-writer on this book? That answer first took shape in 2008 when Claire received a diagnosis of Parkinson’s disease. A diagnosis she dealt with in her usual fashion, continuing her writing and teaching careers undeterred. 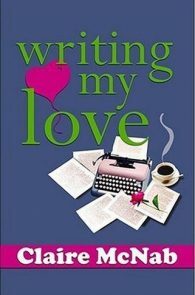 Until Parkinson’s began to increase its grip in 2012 as she began work on what would be the final book in her most celebrated series. 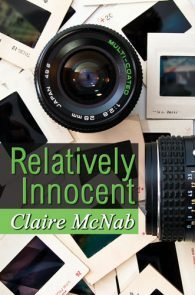 Today Claire is no less brilliant, no less accomplished, funny, and determined than she ever was, but the cruelty of this disease no longer allows her physical body to obey the commands of her brain. 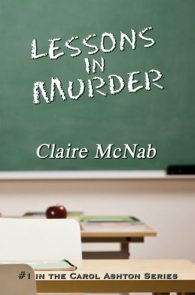 During my years at the legendary Naiad Press, I was Claire’s editor on Lessons in Murder, the first Carol Ashton mystery in a series that would go on to form part of the foundation of our lesbian genre literature. 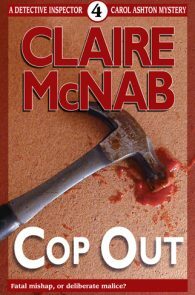 I’ve edited a number of Claire’s books in the years since, and saw about 35,000 words of Lethal Care shortly after she began work on it. But nothing had come in since, and I assumed she was too involved in her career at UCLA and other writing projects. 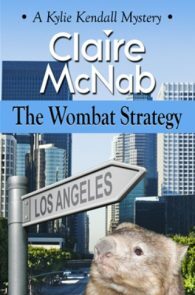 I didn’t catch up with Claire again until a rush visit to her in the intensive care unit at UCLA Medical Center in late July 2016. In critical condition, she required emergency surgery due to complications of Parkinson’s. She came through that surgery but still another surgical procedure followed, and after that, many months in a rehabilitation facility. It is a tribute to Claire’s heart and soul and will that she is even with us today. It was during this time that she agreed that I would work with her to complete the final book in the series most meaningful to her. I am happy to report that she is home today with her Sheila, and has continued daily involvement in the writing of this book. The seventeen Carol Ashton books not only form the centerpiece of Claire’s writing career, they encompass three decades of Claire’s life as she gave us her highly entertaining and popular stories, her vivid images of the remarkable topography of Australia and life and death Down Under, all mixed into her ingenious plots. 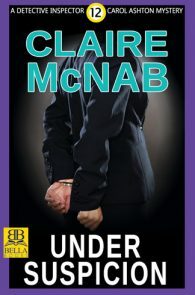 It has been a privilege and an honor to work so closely with the remarkable woman who is Claire McNab on this final book in her equally remarkable and most beloved series. Slim as always, with shiny copper hair and deep gray eyes, Madeline was well aware of the impact she made and skillfully deployed her magnetic charm. An aqua classic silk dress enhanced her figure with such effect that it seemed to gather all the light in the room. She smiled easily at Carol’s gentle mockery. Carol looked down at her functional navy blue suit tailored to conceal the weapon she wore. She was amused to see Madeline giving the government-issue furnishings a critical once-over, her glance lingering on the photo on the credenza. “He’s driving through Europe with his father at the moment,” Carol said, her gaze settling affectionately on the photo of her joyous son taken in his graduation gown. The television network had every reason to do so. Madeline was one of Australia’s most successful media personalities, the combination of her glossy beauty and formidable interviewing skills ensuring enviable ratings for her current affairs program, The Shipley Report. Even changes in format and time slots over the years had had minimal effect on its popularity, and she was now entrenched in prime time on Sunday evenings. Madeline leaned back in her chair and crossed her legs with casual grace, and Carol was taken aback to feel a feather touch of awakening desire. It seemed eons since they were lovers; their lives had diverged and they hadn’t spoken for some time. The media frenzy over Greta Denby’s demise had been predictable. Greta, a gracious, beautiful woman with an effervescent personality, and her husband, finance magnate Harland Denby, had been luminaries for years in Sydney’s social and cultural circles as well as generous benefactors to select charities. The Denbys’ son and daughter were also tracked by the press, though for less admirable reasons—their escapades and brushes with the law. After Harland’s sudden and fatal heart attack, Greta had dropped out of sight for months. When she returned to the public eye, the celebrity media had seized on her once again and dubbed her The Merry Widow, noting that her escorts to the various events and fundraisers were unfailingly handsome and often appeared younger than Greta’s adult son. Ovarian cancer struck; and the socialite’s considerable fortune funded expensive, experimental, and well-publicized treatments developed by the controversial Dr. Eduardo Valdez. After an extended stay at his Swiss clinic, Greta Denby, accompanied by the doctor, had returned to Sydney. With her cancer in remission, she had begun to attend social functions again, along with assisting Valdez in his accreditation process in Australia and introducing him to influential people who might be interested in supporting his proposal to open his first Australian clinic. Then Greta Denby had been found dead. Eduardo Valdez had been vindicated in his adamant refusal to sign a death certificate and his insistence on an autopsy. When the cause of death had been revealed to be an excessive dose of Nembutal, the inquest had been adjourned pending further investigation. The nonstop gossip and innuendo that followed was fueled by speculation about inheritance-based conflict in the Denby family and rumors that despite Dr. Valdez’s claims of imminent recovery by his patient, Greta Denby’s cancer had returned to ravage her body. Although the media was careful to skirt Australia’s strict defamation laws, there seemed to be a general consensus of speculation that someone close to the suffering Greta Denby had helped her die. This was the morass Ian Rooke had been assigned to investigate. “I must admit a few of my colleagues did rather embellish Inspector Rooke’s fatal accident,” Madeline said. “It was a shock,” said Carol, mollified, thinking again of the stunned disbelief all around her that had greeted the news. She felt a singular connection with Inspector Ian Rooke. His career had paralleled her own rise through the ranks and although they’d never been close, they’d had a friendly rivalry over who would be first to take the next step up the promotion ladder. A very private man, Rooke had had a low-key manner attractively combined with a sly wit. She knew only the surface facts: Around nine at night, driving to his home in the northern outskirts of Sydney, he’d failed to negotiate a hairpin bend in a hazardous stretch of road running through the wilderness of Galston Gorge. 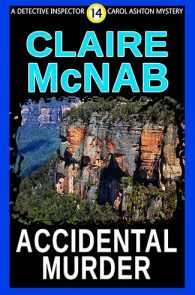 His decade-old Land Rover had smashed through the guardrail and plunged over a sheer cliff into the depths of a bushland ravine. The first responder to reach the vehicle found Rooke’s dead body penetrated by the shaft of the steering wheel. The mangled wreck had to be winched back up to the top before he could be extracted. No other vehicle appeared to be involved, nor were there any skid marks to indicate he’d braked suddenly to avoid hitting an obstacle on the road. Greta’s daughter, whose wild teenage years had filled countless gossip columns, was now in her late twenties. It was Carol’s impression that recently she had settled down and was involved in running her mother’s charitable foundation. Perhaps at her mother’s insistence, Carol thought. The newspaper coverage showed her always in the company of her mother. Shortly before Greta Denby’s death, Carol had admired a TV ad featuring her efforts to establish satellite Safe Haven shelters in communities where domestic violence was widespread. Throughout her career Carol had seen the brutalized bodies of women and children, victims of a ferocious male anger—an anger that seemed ever present in so many women’s lives—and she felt a personal regret over Greta Denby’s death whatever its cause. When he shook his head, Madeline said, “Let’s leave it for Pat to decide, shall we?” With one lithe movement, she was on her feet. She barely came to Bourke’s shoulder. “I wouldn’t get my hopes up, if I were you,” he told her pleasantly. “I’ll see you out,” Bourke said firmly. 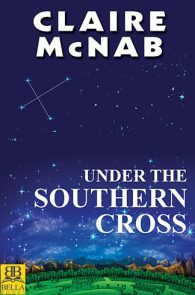 Carol sighed as the door closed behind Madeline Shipley. Just one more complication to add to an ever growing list. She rarely felt overwhelmed, but sensed it building now. Her entire life seemed to be a pyramid of concerns, professional and personal. The Denby case, along with awakening long-repressed memories, was already proving to be a challenge at many levels, not least of which was Commissioner Hindley’s close interest in the investigation. There was Sybil—her feelings for Sybil, Sybil’s feelings for her. The growing regret over the impulsive promise to sell her beautiful cliff-top home and buy a house jointly with Sybil somewhere else on the northern beaches peninsula. And there was Aunt Sarah. The woman whose support and advice and honesty she most valued, the one person she fully trusted to explore with her a multitude of conflicts and confusions, was haring off to South America just when Carol needed her most. She owed it to Aunt Sarah to remain silent, to see her onto her aircraft with a mind clear of Carol’s anxieties and eager for her own adventures. If the concerns in her pyramid were amorphous, the one forming the base was distinct: bedeviling doubts about her career. It was her career that had created the minefield that lay between her and Sybil. Her career that had led her to this new position where she reported directly to the Commissioner. And the plague of weariness at the mere prospect of performing the delicate political dance necessary to protect subordinates from the judgments of a man she neither trusted nor respected, much less implement procedures in keeping with policing a diverse city. She felt a melancholy yearning for the familiarity of the job that was moving beyond her fingertips; she already sensed a new formality, a developing distance from colleagues with whom she’d worked in easy comradeship. Yes, she would have more control over their activities and the pleasure of being able to open to them wider opportunities. But in some ways she would have less control, and she wondered how she could manage to prevent her itching hands from landing on her squad’s murder cases. No one in her life—not Aunt Sarah, not Sybil, certainly not her son—had any inkling of the deeply personal toll the Denby case might wreak on her as well. “And so are we. All the time,” said Carol, thinking how radically the content and presentation of news had changed over the years, the explosive growth of the Internet creating voracious demand for sensational stories and lurid details whether true or not. Now that anyone could find out almost anything about anybody and spread distortion and disinformation, it was increasingly difficult to distinguish between truth and fiction. “As ready as I’ll ever be.” Although they had ample time, she didn’t want to run any risk of being late for their appointment with the new Commissioner of Police. “Poetic,” said Carol in mock admiration. “My intention exactly,” Bourke replied with a grin. She began to double-check the papers in her briefcase. The Commissioner had already established a reputation for abruptly demanding to see any documentation associated with the case at hand. She glanced over at Bourke, envying the way he seemed able to relax at will. “Knowing her, I imagine Pat didn’t,” Carol said, hoping that Bourke wouldn’t ask her own opinion. “Wise,” said Carol absently; she was organizing her thoughts for the meeting. “Good luck with that in this political climate,” Bourke commented. Carol’s response was a rueful, admiring headshake. The Eco-Crones, an activist environmental group of older women, had become internationally known for fearlessly challenging the environmental policies and actions of powerful individuals, huge corporations, and governments of countries large and small. Under Aunt Sarah’s enthusiastic leadership, and employing her previous experience in the theatrical world, the Eco-Crones had expanded their use of flamboyant street theater. Featuring elaborate costumes and dramatic dialogue, the extraordinary tableaus and mini-plays they staged at demonstrations never failed to generate wide publicity, particularly on the Internet where videos of their colorful exploits tended to go viral. “Nice to see my officers can find something to laugh about,” said the commissioner, ushering an impeccably groomed man in a pearl-gray suit out of his office. Carol recognized him: Simon Sykes. “Let’s dispense with the pleasantries, I’ve got a full schedule,” ordered the commissioner, cutting them off mid-greeting and impatiently beckoning Carol and Bourke into his office. His harsh, disagreeable voice delivered words in a strangled tone as if they were being squeezed through his larynx. As he slid into his desk chair, Carol looked at him in distaste. Clive Hindley was a humorless, intolerant, tenaciously single-minded individual, with a pugnacious bulldog face and a square, heavy body. His graying hair was clipped short, not in an attempt to disguise approaching baldness but to enhance his spare, no-nonsense demeanor. She disliked him comprehensively. He served to reinforce her continuing misgivings about accepting her new rank as Chief Inspector. She grudgingly had to admit that for good or ill he was effective, a consummate political animal in the use of power, keenly aware of favors owed and reprisals to be meted out. He had proved to be a formidable enemy and, to those who had ceased to be of use, an unreliable friend. Carol managed not to show her instant dismay. She’d worked with Simon Sykes before, when he’d headed the media unit of the then commissioner. His deferential manner was a false front over his arrogance, intrusiveness, and tin ear for the nuances of police work. When Sykes left to form his own public relations company, she had been pleased to see him go. The commissioner’s expression darkened. “You should know that the Premier is taking a personal interest in this case. Greta Denby was a close friend.” If Commissioner Hindley was new to the top job, he was far from unfamiliar with his obligations to those who had put him there. He had established a network of influential backers, and the support of the state’s premier had been a key element in his success. Strings were obviously being pulled in the Denby case. Carol resigned herself to this new reality. At these staff assignments, Carol’s mood elevated slightly. “I have copies of Inspector Rooke’s preliminary interviews, as well as his notes,” she said, indicating her briefcase. “Not a miracle cure, then?” said Bourke, raising his hands in mock despair. “But he is certified to legally practice in Australia,” Carol pointed out. Carol could scarcely blame him for his animosity. When the Premier had released the short list of candidates for Police Commissioner, Madeline had been scathing about Clive Hindley’s inclusion. In the Report she had questioned his qualifications and his suitability to be the state’s top cop. Since his appointment, Madeline had continued to snipe at his performance, and had made clear that she would second guess every step and detail any missteps he made. “Got it,” Carol said, reaching for her briefcase. Carol and Bourke followed him down a corridor to an empty conference room. Carol smiled to herself when she saw Bourke checking out the high quality furniture, expensive light fittings and plush carpet. Having recently bought an old Federation house, he and Pat had become refurbishing junkies, redoing the place room by room. “You can get to the point,” Bourke said, sliding into a chair. “Of course.” He strode around the table to sit across from them. Although his well-cut suit was designed to disguise the fact, Sykes had put on weight since Carol had last seen him. His jawline had softened and his dark hair was lightly streaked with gray. The obsequious manner that had so aggravated her in the past seemed to have been replaced with something almost as annoying, a supremely self-satisfied air. Carol had forgotten his maddening habit of giving a preparatory cough before speaking. But his voice, soft and insinuating, was exactly as she remembered. “How regular?” she asked, placing her hands flat on the table, feeling resistance building fast. She hadn’t liked or trusted Simon Sykes all those years ago, and saw no reason to change her mind now. “They’re entitled to their opinions,” Carol observed, fully aware that she was saying this simply to needle Sykes. She concurred with Bourke’s view that Armitage belonged behind bars. The Canon’s activities had been a severe embarrassment to the Anglican Church for some years, but never more so than recently when six of his followers initiated a terror campaign against Cherished Life opponents. They had bashed a young man in a family planning clinic so severely that he was now confined to a wheelchair. Security cameras had identified them, and when arrested, they claimed to be carrying out God’s will as relayed to them by Canon Armitage. In court and under oath, Armitage, while attacking the deeds he claimed were perpetrated in the clinic, vehemently denied inciting members of his flock to attack anyone physically. The six acolytes, unrepentant, received lengthy jail sentences, while the Canon remained free of any charge of accessory, piously announcing he was praying for their immortal souls.